1 Heat the oven to 425°F. 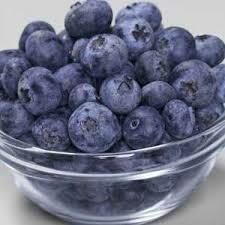 Rinse blueberries; spread on tea towel or paper towels and pat to dry. 2 Unroll pie crust in ungreased 11-inch tart pan; press gently against bottom and side. Add blueberries to pan; spread evenly. 3 Bake 30 minutes or until crust edge is golden brown. Remove from oven to cooling rack; cool 3 to 5 minutes before cutting into wedges. Serve with ice cream. 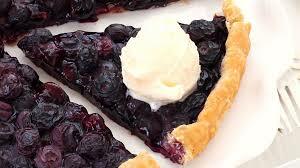 Blueberry pie filling can be used instead of the fresh blueberries. 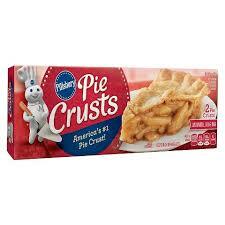 Spoon the filling over the crust and bake 30 minutes in the preheated oven. For a twist on this simple blueberry tart, you can either mix the berries with the grated peel from 1/2 lemon or with 1/2 teaspoon ground cinnamon.